NEW UPGRADE: NOW WITH A SAPPHIRE CRYSTAL! 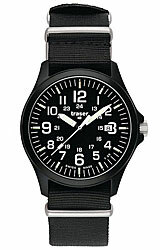 The Traser Officer Pro Series is a no nonsense field watch. Solid stainless steel case and the sapphire glass crystal make this series durable and dependable no matter what you get into. 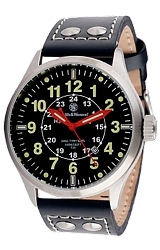 The Officer Pro is the traditional 40 millimeter diameter watch, preferred by many men and now often worn by women, too. Day or night the high contrast dial and full tritium illumination make sure you can read the time in any condition. 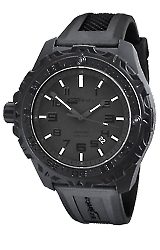 Swiss Made fine jeweled quartz watch keep perfect time and is tough, rugged and dependable.